Christmas preparations are well under way here at Sugar Headquarters. Although my “to do” list seems to be getting bigger by the day. How I love this crazy time of year. 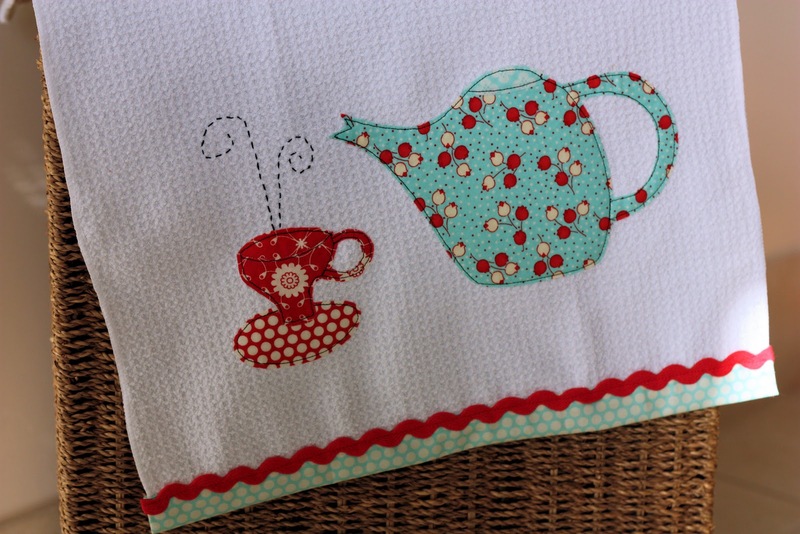 This week I have made up a couple of appliquéd kitchen towels for special friends who I love to share a cuppa with. 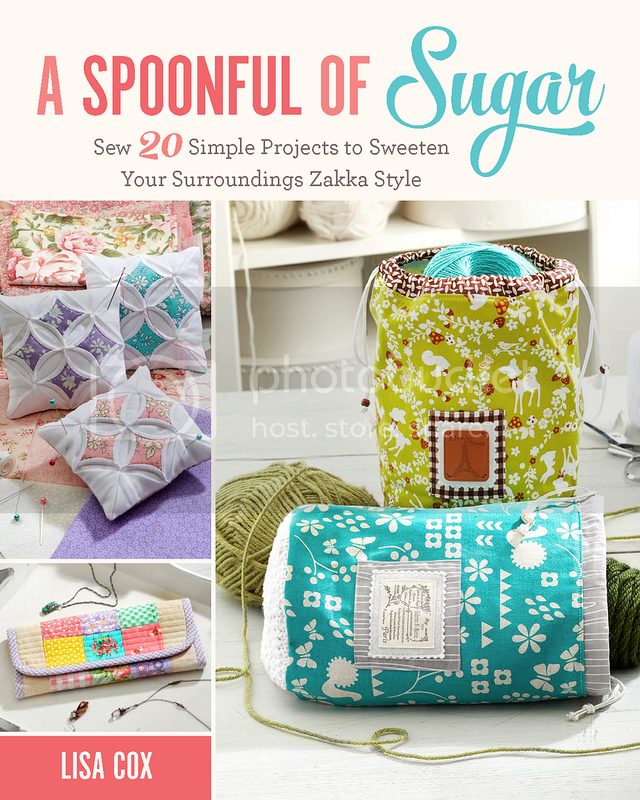 The inspiration came from Scandinavian Stitches, a delightful book with lots of whimsical appliqué designs. There has also been a bit of gift wrapping going on. I made the doileys on the gift bag using the Cindy Loo Cricut cartridge. I love how the red and white give them a festive touch, even though they aren’t Christmas images. Sarah decorated another Gingerbread House – this time for her young cousin.I love the gingerbread house kits at IKEA. Hope to finish the Christmas gift shopping over the weekend so that we can start on the Christmas baking! We are hosting Christmas lunch at our house this year – I can’t wait. Always pretty things to see. LOVE your tea towels. 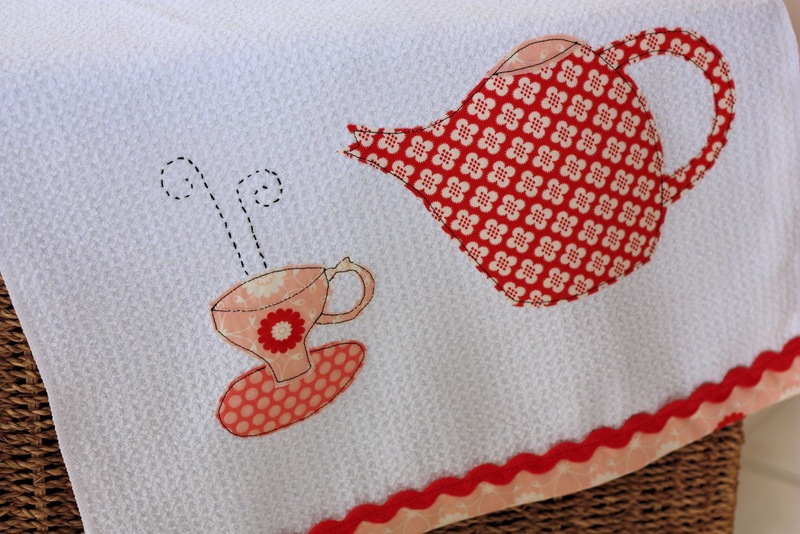 Love the tea towels- they are really cute!!! And the gift wrapping is amazing, I don’t think I would want to open such pretty presents- the wrapping is a gift in itself. Fabulous tea towels. Fun gingerbread house too. The kit make it so easy. 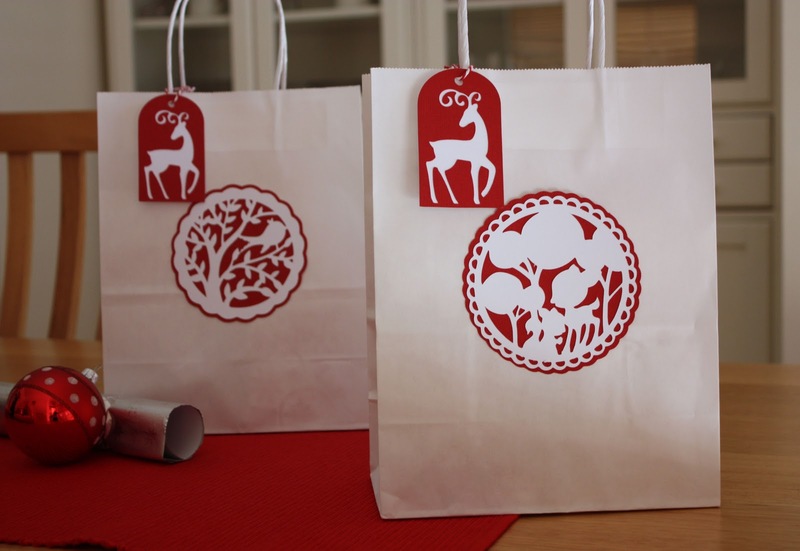 those red & wite doiles on the white gift bags are lovely !! Lisa, dear, I would LOVE to see your Christmas lunch!! All the decor and details you and Sarah will make!!! We will host Christmas supper and I am anxious for that!!! The dish towels are darling. We are planning on doing gingerbread houses this weekend. I sure have enjoyed the ones you’ve had. Beautiful tea towels!! A lovely gift for your special friend, she’ll love it. I love the kitchen towells and like you as long as my list is and as little time as I have I love this time of year!!! Am having to take a few short cuts this year but have already started a list for next year! Practising pastry today for the lemon tart we are making for Christmas day, not at our house this year. Sweet applique! I love those teapot shapes. 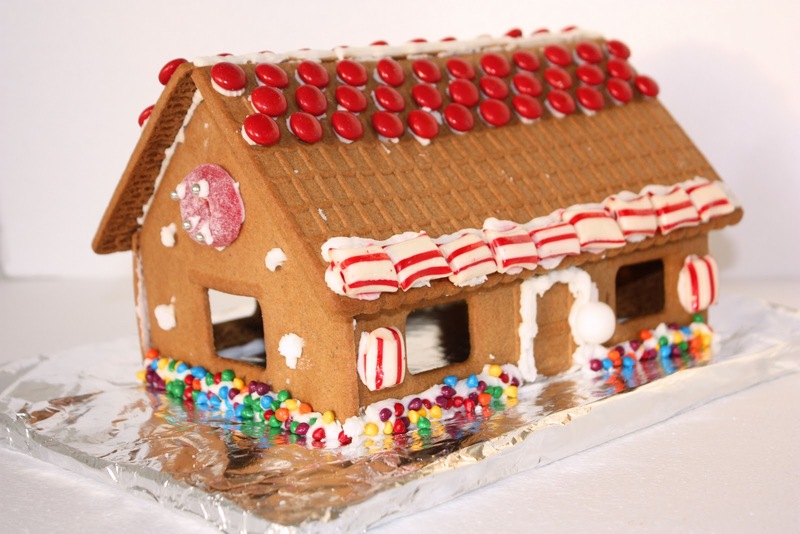 Someday, I would love to try making a gingerbread house, so Sara’s will be great inspiration. Looks like you and Sarah are keeping busy LOL. Your little towels are darling! The towels are so lovely!!! Just looking at those tea towels make me happy! What a sweet gift. wow, always looking for ways to cover up the store names to reuse bags as gift bags. well done!